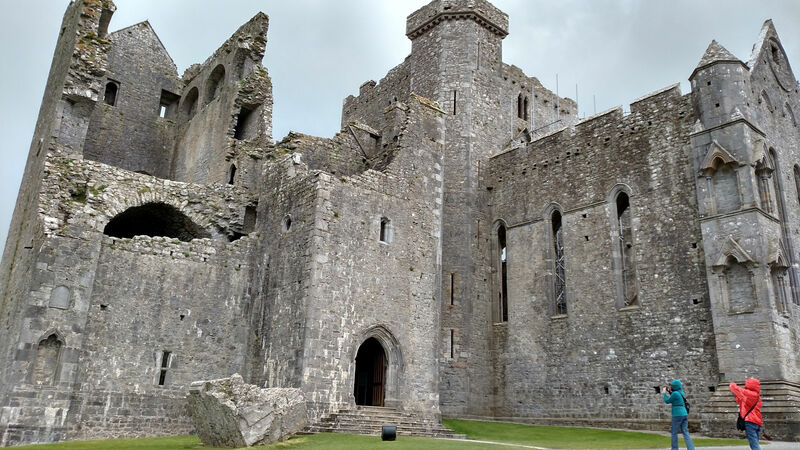 In Cashel, Ireland, the Rock of Cashel is an astounding castle. It was taken over by the church and run as a sacred place for almost a thousand years before falling into disrepair and being abandoned. But now it stands as a must see when you come to Ireland. There’s nothing like the view as you round the highway and look up to the top of a hill to this breathtaking castle. I got all writery when I listened to the tour guide talk about the huge chunk of wall that fell one night in a bad storm in the 1800’s. I can imagine the wind gusting, the rain pelting the stones in rivulets of rivers. The crash of thunder after lightning snaked down to the castle and touched the wall. A chunk breaking loose with a wrench and twist loud enough to wake the locals at the village below. Yet, they slept on through the storm, too tired from the toils of Ireland to actually stir from the sound. As it tumbled down, centuries of history cried away into the waters that would disappear back into the ground only to be born up in the clouds again one day. That carnage would give way to new life in the future: new life for a castle in ruins. Today, many work to keep its memories alive. May it be preserved for generations to come. 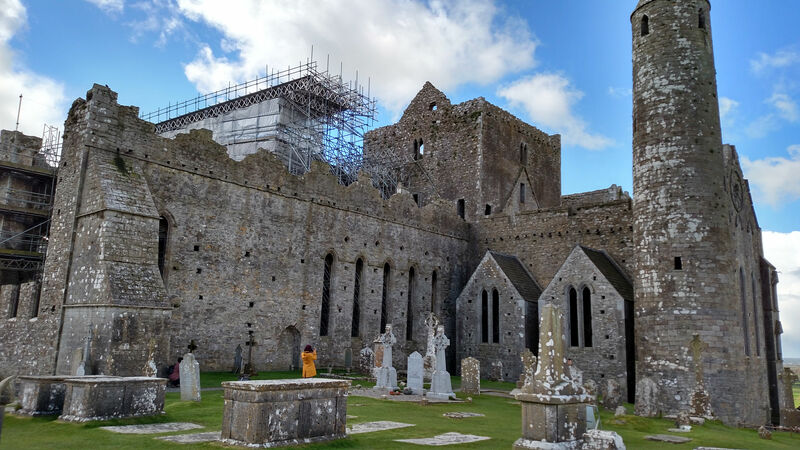 One of the best places we visited in Ireland – and some of our best memories & pictures when we got home! I wish we’d had time to take a look see at the town, too. Did you? NO! We wanted the same thing. Unfortunately, our tour guide was brand new and thought it was an actual rock! She had set aside about 15 minutes for the entire thing. We insisted on the time for the grounds, but did not get to see the town – it looked very quaint and inviting though. We will have to get back there some day!